Posted in Uncategorized and tagged love, Sci-Fi, star trek, star trek TOS, tv. ← Is It The Word? Is It Really? I feel like this is, at best, cute to someone that really loves Star Trek. 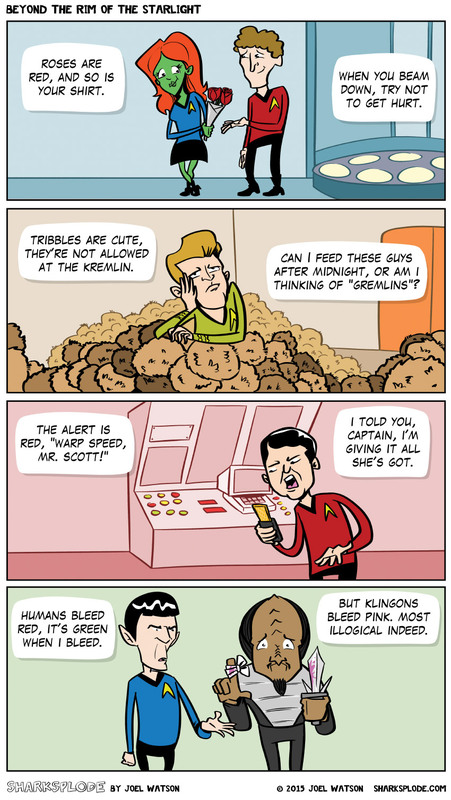 You think the Star Trek comic I made for Star Trek fans to enjoy would be enjoyed by Star Trek fans? So you’re saying its a total success? Thanks for the kind words of encouragement and support! haters will hate, but Rikers will like, “More comics like this!” –fans of cap’n Pike! I might do that with the first one when the time is right. 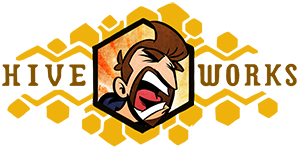 I really enjoyed this, best of luck with the new comic! See? This lady gets it. So I know green Vulcan blood was explained by the fact that their hemoglobin is based on copper rather than iron, but was pepto bismol pink Klingon blood ever given an explanation? Because they’re all mean and boney on the outside, so making this all pink and fluffy on the inside is funny. Duh. Officially, it was to avoid an “R” rating for the movie, and the Undiscovered Country is the only incidence where the “pink” blood is seen. Klingon blood is commonly seen as red in the TV series, especially on Deep Space Nine which featured several incidents of Klingons drawing their own blood. The common fan theory is that, since the Klingon rigged foreheads “returned” in the TOS movies, that whatever process they underwent to restore their cranial ridges tainted their blood, and that blood taint was resolved before TNG. I do have to point out that Mr. Scott (the actor in real life) lost one of his finders in WW2. You could have gone back to three finger hands (hand?) for one panel but missed the opportunity. Dammit! I knew that too. I should have hidden it the way he always did.